Most recent materials along with themes on Life after death. Find out about mysteries, stories and handy advice when it comes to Life after death. Get the most recent publications as well as write ups on Life after death. For ages, humanity has been trying to find out if there is a place called heaven, and if so, what it might look like. One woman claims that she has already managed to puzzle out this phenomenon and has even published a book about it. The theory of biocentrism overthrows the current understanding that the universe created life and biology. It could be the other way around. Indeed, human consciousness defines the size and shapes within it. Many ghosts appear only once, at the moment in which their life is over. One of the first documented stories of this kind happened in 1250. Almost a billion and half of people in today's Asia believe in reincarnation. It is reasonable to think that if reincarnation exists, then the sky should be crowded. The life after death. 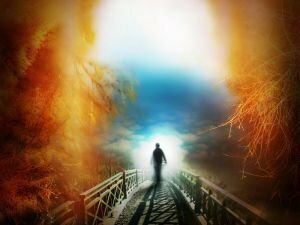 Is there life after death and if so, how do we know this for sure? There is evidence to suggest that people only die physically, and continue to live spiritually. There are phenomena, which still remain a mystery to everyone, even scientists. There are different theories, but none has been demonstrated and accepted as fact.